Piedmont Technical College faculty, staff and members of the administration are just as committed to helping students achieve their dreams today as they were 50 years ago. In this section you’ll read about a new facility that has propelled the training available to HVAC students to new heights. You’ll also get a full picture of the year at PTC through press releases, video, photography, social media and more. Dr. Ray Brooks has led the college through another successful year and he has an important announcement. This year, we took a leap forward in providing high quality training by adding a 10,000 square foot HVAC Training Center. 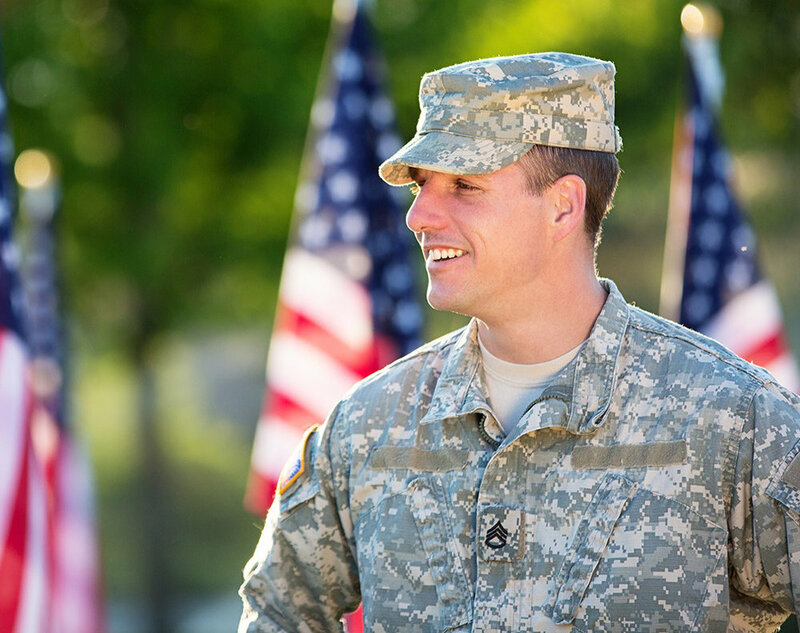 In September 2015, the college was awarded $500,000 to start a new program for qualifying veterans. Among this year's accomplishments, we celebrated the graduation of the first class of Occupational Therapy Assistant students. Our students and graduates often follow interesting paths to the programs they choose. Thanks to conservative budgeting and quality day-to-day management, the college posted a healthy Fiscal Year 2016. This year, faculty, staff, students, alumni and other college representatives have continued to be recognized in and out of the classroom, and on platforms big and small, for their commitment to excellence.